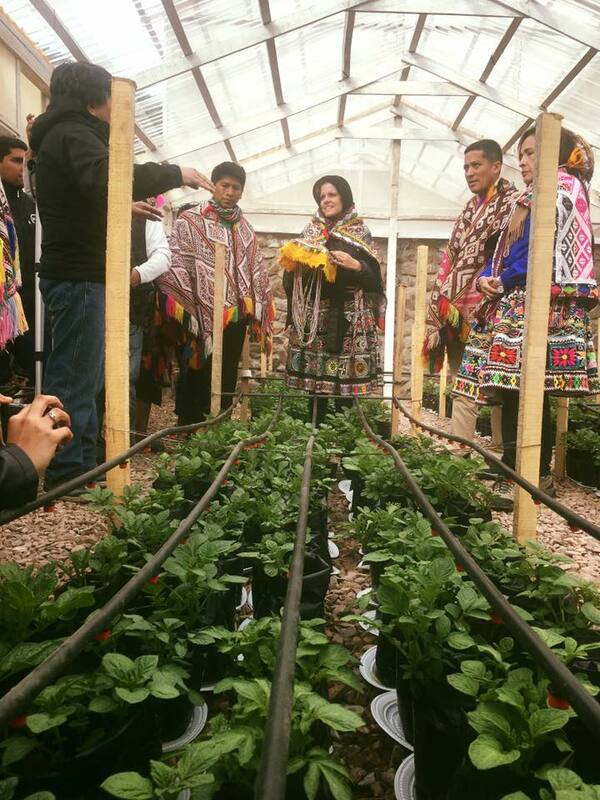 On Wednesday, February 22, 2017 the Second Vice President and Member of Congress of the Republic of Peru, Mercedes Araoz, visited the Potato Park. The Vice-president, was accompanied by the Minister of the Environment, Elsa Galarza, and Vice Minister of Strategic development of Natural Resources Fernando Leon. 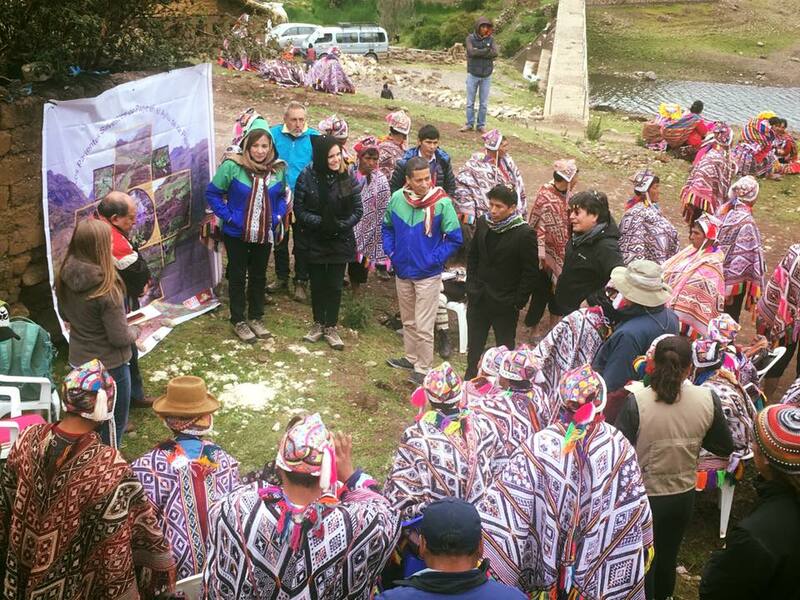 The authorities were impressed with how the health of the local bio-cultural system has made the Potato Park a critical repository of potato genetic diversity, attaining local and global conservation goals and maintaining unique local varieties. The authorities recognized that crop diversity and mosaic of land uses play a significant role in climate change mitigation and in the success of the local strategies for climate change adaptation. 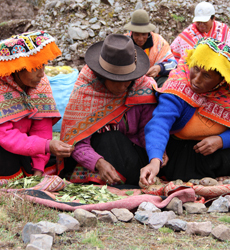 The visitors were especially struck by the important work being done by the Park’s famers in the multiplication of repatriated seeds from CIP (the International Potato Center), particularly in the face of climate change when access to new and genetically diverse varieties is critical. The visitors recognized the importance of this effort, particularly because of the lack of an efficient national seed production and distribution system. This visit led to a commitment from the Vice President to support multi-sector collaboration in support of increasing the capability of Potato Park farmers to provide other farmer groups with quality seeds of adapted varieties. Farmers stressed the need for capacity building and the role of the SD=HS Farmer Field School approach in forming and strengthening local expertise. Farmers requested the visiting authorities to support farmers, especially women, by ensuring their participation in the revision of the National Seed Law. 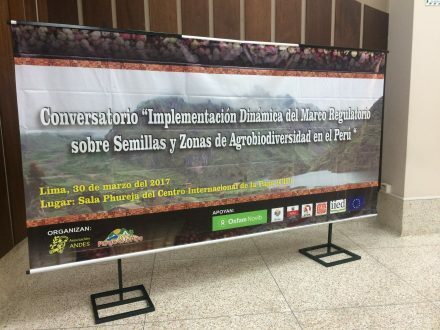 The Potato Park farmers also invited the authorities to participate in the SD=HS policy workshop, to take place at the end of March in Cusco, which will focus on how to use the national seed law to support, develop and promote smallholder seed enterprises.